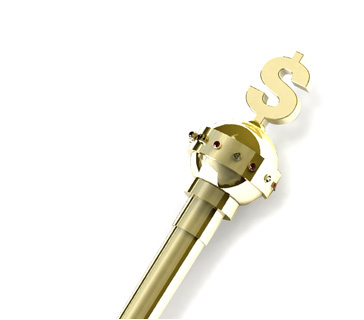 Double or Nothing Definition - What Does Double or Nothing Mean? 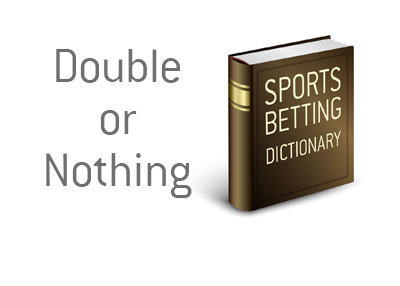 What does the term "double or nothing" mean in the world of sports betting? What is the definition of the term "double or nothing"? In betting, a "double or nothing" bet is an even money wager in which you either double your money or lose your entire bet. For instance - let's say that you decide to wager with a friend on a Manchester City game and lose. You may say to him - "I'll bet you that Man City wins next week at home against Manchester United - double or nothing?" Let's say that you lost 100 pounds to your friend with the first wager. A double or nothing bet would mean that if Man City wins, you would be even, owing your friend nothing. If Man City lost at home against Manchester United, however, this would mean that you would now owe your friend 200 pounds instead of the original 100. A "double or nothing" bet is essentially an even money wager, similar to how bookmakers may indicate a bet as 2.00 or 1/1. In essence, a double or nothing bet is simply a coin flip - if the bookmakers aren't sure who is going to win, the outcome of the contest is obviously very much in doubt. If you are going to be engaging in a double or nothing bet, you may want to check the odds at an online sports book first, just so you don't get sucked into giving very bad odds on the wager.